The sun is blazing, your legs are burning and better than three miles of Tram Way Road greets your cycle. Welcome to the Stage 2 finish of the Amgen Tour of California's Coachella Valley debut. The Amgen, making its eighth annual ride, has added a Coachella Valley stage to its demanding route this season. 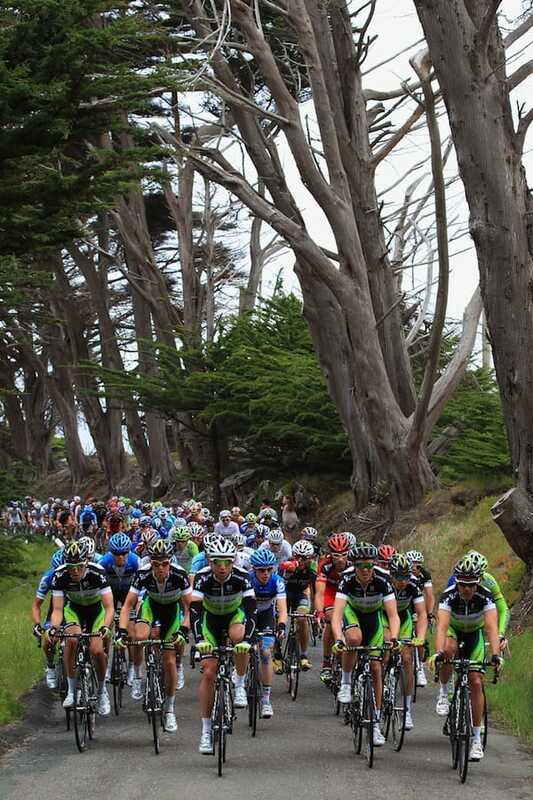 Recognized as one of the nation’s premier cycling events, the Amgen is set to tear through the area Monday afternoon (May 13) with an exhaustive final climb up Tram Way awaiting riders. "The finish for our stage is definitely going to be one of the most difficult of the ride," said Scott White, president & CEO of the Greater Palm Springs Convention and Visitors Bureau. A test run up the Tram Road revealed exactly what the field, featuring Olympic and Tour de France cyclists, are up against. "It took a pro who came out here a few months ago 22-minutes to ride up the first time, 24-minutes the second time and 26-minutes the third time," added Jonny Westom, the CVB's director of community relations. "By the time they reach the Tram Road, they've already ridden 124 miles and they've got 3.5 miles to get to the top of the Tram." Coordinating the Palm Springs-area addition to the Amgen proved a year-long endeavor for White and his team. Among the mass of personnel assisting to pedal the race toward the desert are better than 250 volunteers from the local Tour de Palm Springs event that rides each February. "AEG, which owns Amgen Tour of California, approached us about being a leg of the race," White said. "And in order for this to happen, we had to have the support of the desert cities and also the hotels – the Tour needs a lot of in-time support." The race's Valley addition is part of a re-compassing that takes 128 riders on a south-to-north route for the first time. While the ride is broadcast around the world on NBC and the NBC Sports Network, local spectators should take note that they can watch the race first-hand and at no charge. "With our destination becoming more and more bike friendly, there's a really good synergy between the Coachella Valley and the event," White said. After the international field of riders makes their way across 102.7 miles of San Diego County May 12, Amgen competitors will begin Stage 2 the following morning in Murrieta before winding their way through the desert cities and an eventual ascent to the top of the Tramway Road. Leading riders are anticipated to arrive in Palm Desert at approximately 2 p.m. "They'll enter into Palm Desert on Highway 74 and have a time trial on El Paseo," explained White. "There's a 100-yard dash with the winning rider awarded points at the end of the race." The race will route through Rancho Mirage and Cathedral City before entering Palm Springs. Recommend viewing perches along the way include The Shops on El Paseo, The River in Rancho Mirage and along Palm Canyon Drive in downtown Palm Springs. At approximately 3 p.m., racers will challenge the nine percent gradient presented by the Tram finish. From the nearby Palm Springs Visitors Center, spectators can view the riders start their Tram test. n addition, while spectators are welcome to watch the race from anywhere on Tramway Road, the road is closed to all non-credentialed vehicles for the day. To join the finish line festivities, fans can park at the corner of Racquet Club Drive and North Palm Canyon Drive and take a shuttle up the Tram from 10 a.m. to 1 p.m.; rides down will resume upon completion of the race. Atop the Tramway finish, Amgen will host a Lifestyle Festival coupled with more than a dozen vendors and hospitality tents. For information on local road closures during the race, a list of top viewing perches and to learn about taking shuttle service up the Tram, visit www.palmsprings2013.com. Cyclists encounter a variety of riding conditions during the 750-mile trek over eight days. Last year's points winner was Peter Sagan, who won five of the eight stages.